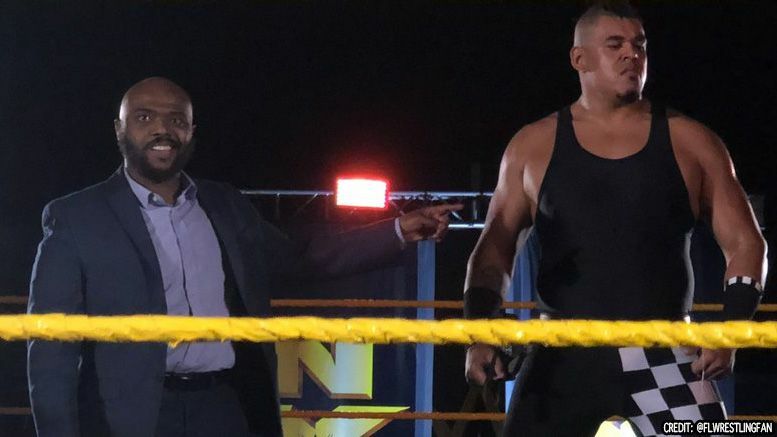 Recent NXT signee Stokely Hathaway made his live event debut on Friday night managing another wrestler … but he was using a different name. According to those in attendance, Hathaway managed NXT wrestler Babatunde at the event in Tampa and was introduced as Court Moore. He apparently told the crowd he’s a representative to the stars and Babatunde is his new monster. Stokely’s signing was announced earlier this month. Sound off in the comments below and tell us what you think about his new name.